“Going into the city” is a Christmas tradition many of us remember from our childhoods. Big cities in general just know how to celebrate Christmas in their own regional way. Chicago, also known as “the Windy City” is one city that goes all out for the holiday season. 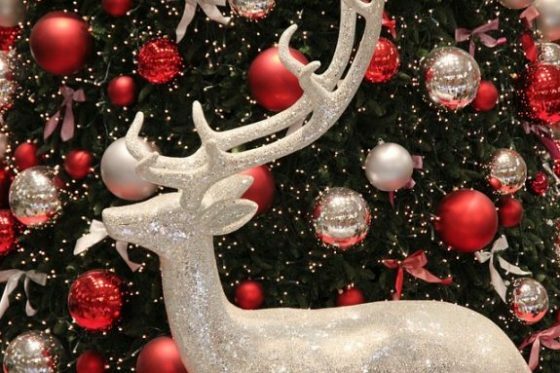 Visitors to Chicago will find tons unique Christmas gifts and holiday activities that the whole family will be excited about in 2016! If you have plans to go to Chicago this holiday season, then these are some wonderful Christmas activities to attend. Keep in mind almost all of these events require a ticket purchase, but the ticket is good for the whole day of memories! Navy Pier’s 16th annual Winter WonderFest is an indoor holiday celebration that makes a fun experience gift. Visitors purchase either a full activity pass or a mini pass that only allows access to a few selected activities. Children need to be at least 36 inches tall to participate in all the activities offered. Adult supervision is, of course, required for a child under the age of 18. The activities this year includes The Arctic Express Train Ride, the Jingle Jym Jr. (a kid-friendly activity center), the Kringle Carousel, numerous bounce houses, and indoor slides. Visitors may also use the Chicago Blackhawk’s Ice Skating Rink. The full activities pass will include skate rental in the price. The event runs from December 2nd to January 8th. So bring the kids out to Navy Pier for some indoor Christmas fun! During World War Two, the Museum of Science and Industry in Chicago displayed a Christmas tree that was decorated every day to honor the countries allied with America. The design changed every day for 12 days. That act of patriotism was the beginning of a Chicago tradition. After shopping for Christmas gifts, visitors to the Museum of Science and Industry can see that tradition carried on in the Christmas Around the World exhibit. The exhibit features 50 unique Christmas trees decorated to reflect cultures and traditions from all over the globe. The trees represent six regions of the world, from Armenia to Wales. The decorations celebrate favorite Christmas tree ornaments from the region and fun references to the local cuisine and public figures. You can see the Christmas Around the World exhibit during the month of December and take part in a Chicago Christmas tradition. Another activity for the whole family is happening at the Lincoln Park Zoo. 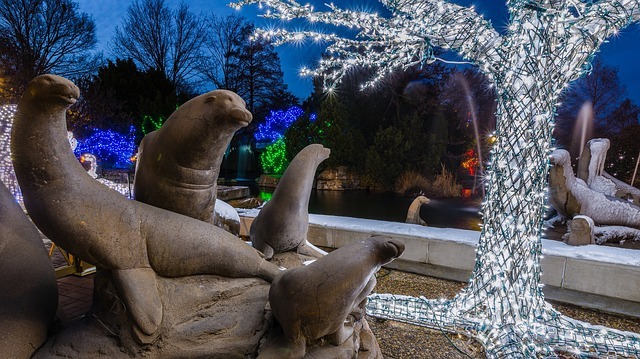 The activities include photos with Santa, a holiday shopping fair that offers unique Christmas gifts, international beer tastings, live ice carving, and festive light displays all around the zoo. The event will be open 4:30 pm to 9 pm and will run from November 25 to 27, then December 2-4, December 9-23, and December 26-31. The final day will be New Year’s Day. Mondays in December are family nights and every night Zoo Lights will be accepting winter coat donations for area charities. Plan Your Chicago Trip Now! Going into the city is a family memory everybody will enjoy. Maybe Chicago isn’t the closest city for you, but maybe we’ve inspired you to find your local family friendly activities. If Chicago is a Christmas tradition option for you, consider going to see these memorable events. Whether you take the kids over to Winter WonderFest, Zoo Lights, or visit one of Chicago’s impressive museums. 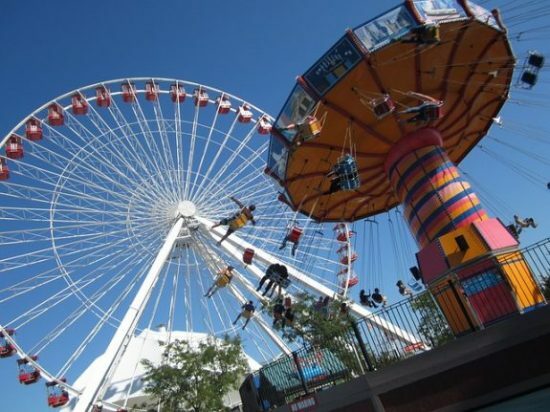 Chicago has tons of family activities that will make your Christmas a little more fun!